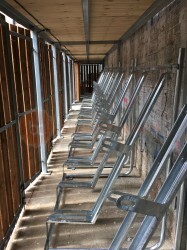 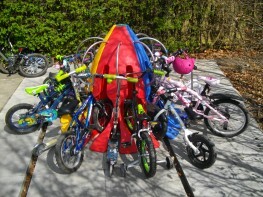 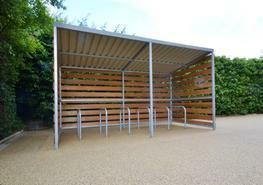 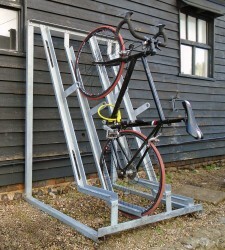 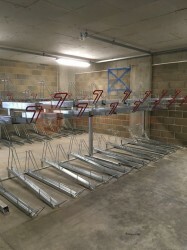 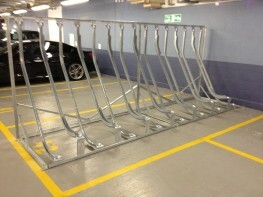 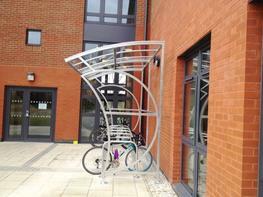 Designed to store any number of cycles whilst maximising usage of available space. 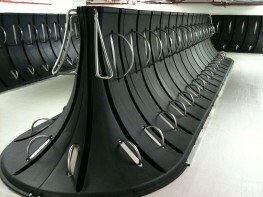 Cycles are stored semi vertically with both front and rear wheels located in a custom designed trough. 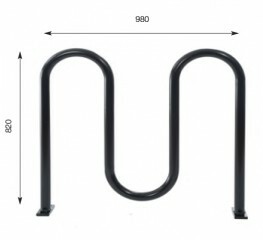 Close spacing of 305mm ensures maximum use of available space. 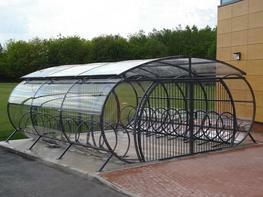 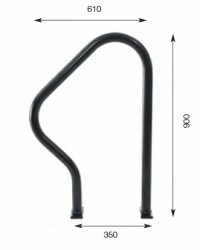 Suitable to store all types of cycle; from racing cycles to mountain bikes and cycles with extra wide tyres. 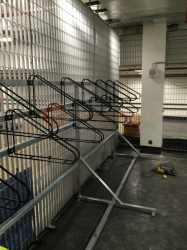 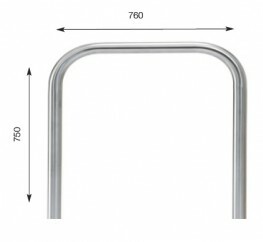 Please note that these product properties are not a replacement for the manufacturer's literature and it is always recommended that Cyclepods is consulted before specifying.